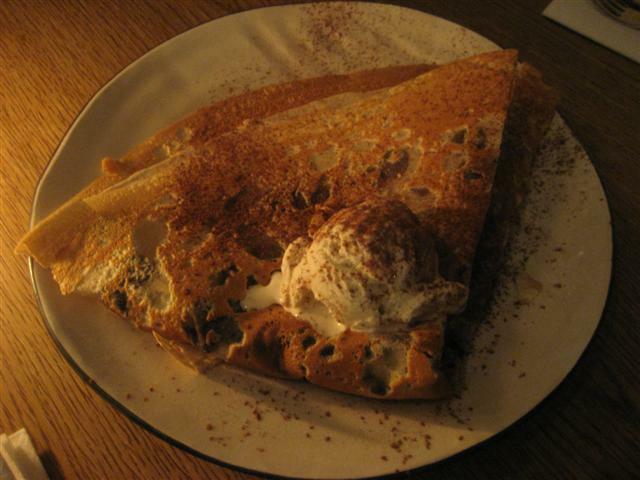 A La Crepe is a lovely place to come for pancakes, sweet and savoury. The seats were surrounded by patterned cushions against huge windows. It’s nice that on a hot day that they fully open these windows. We were seated with the entrance at one end and the bar at the other. I’m not sure how big A La Crepe was as I could see that the seats did extend around the corner, but didn’t know how far it actually went. The staff were absolutely fantastic; so friendly and helpful. They translated the items on the menu into English for us. For the start of the pancake meal, I had the vegetarian galette. It tasted like it was made from buckwheat flour. The filling was spinach, sauteed mushrooms and honeyed walnuts. It was also supposed to have Roquefort cheese but I asked for it without. 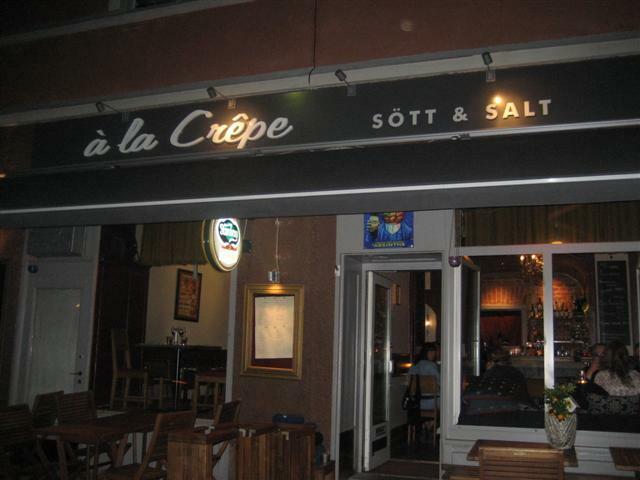 The waitress told me that the crepe would be too dry without the cheese and suggested that the Roquefort could be replaced with creme fraiche. This seemed like a good idea but then she told me that the creme fraiche came mixed with cognac. I wanted the creme fraiche to be alcohol free. I was informed that the kitchen was really busy but the waitress said that she would really try to get them to use plain creme fraiche. I was happy that I was served with my requested galette, alcohol free and Roquefort cheese free. 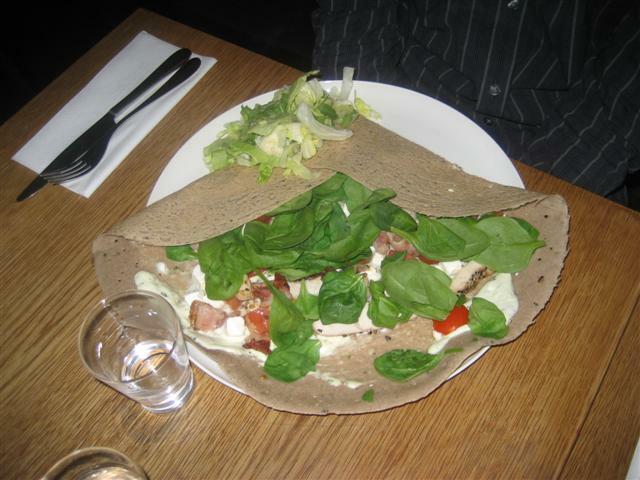 The vegetarian galette came folded up and topped with green salad. Some of the savoury crepes that my friends ordered were served open. We came to the conclusion that the pancakes that had colourful fillings were served open and the plainer ones were served closed. We had no idea whether we were right or wrong. The galette was very filling. It was a good combination of ingredients, although it was a little heavy due to the creme fraiche. There could have been more mushrooms and less creme fraiche. But all in all, it was still a nice vegetarian galette. Even though we were clearly all full, we couldn’t say no to trying the sweet crepes. My friend and I were pleased with our decision to share a crepe. We chose the one that had the Swedish speciality of cloudberry jam. We thoroughly enjoyed the cloudberry jam with the pancake, and it was even better as it was served with ice cream. 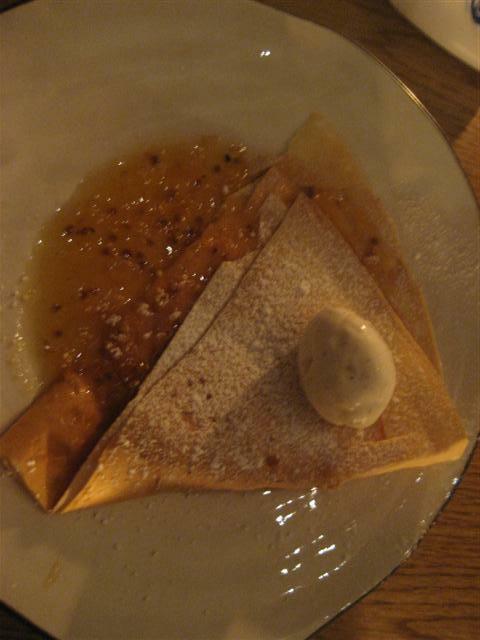 The crepe itself was so nice: it had crispy edges and a softer centre. Half a pancake for dessert was plenty. Another sweet crepe that was enjoyed by another friend was a chocolate based one. It had a dark chocolate filling and honeyed walnuts. It was really tasty but quite rich and too much for one person. 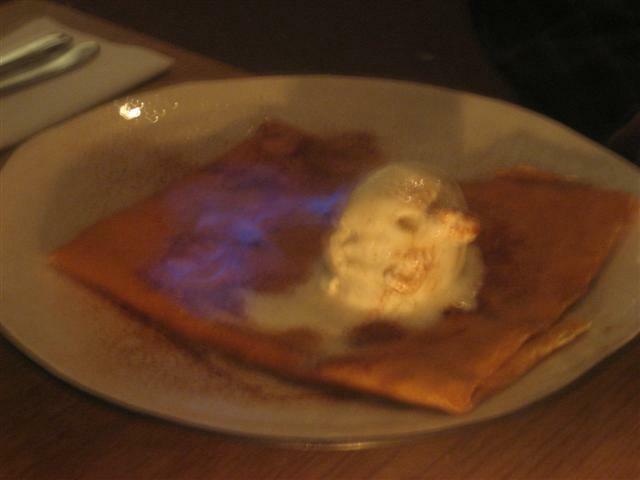 The Normandie crepe was filled with apples and cinnamon. It was brought to the table and flambeed. That was a nice touch. 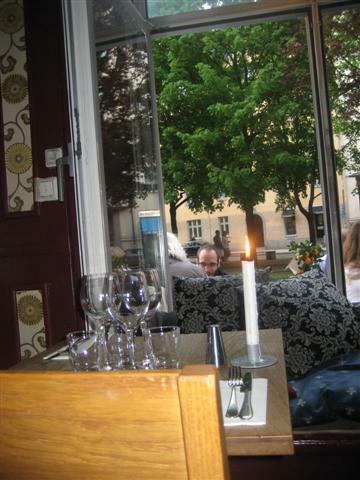 A La Crepe had a nice relaxed atmosphere. The delicious crepes made a fantastic filling meal.